Movie Interview - Chris Colfer Talks 'Struck By Lightning' Chris Colfer, who plays Kurt Hummel on the hit TV show Glee, wrote and stars in a new film Struck by Lightning, a darkly comic take on the high school experience. Colfer talks with NPR's Guy Raz about the film and his work on Glee. 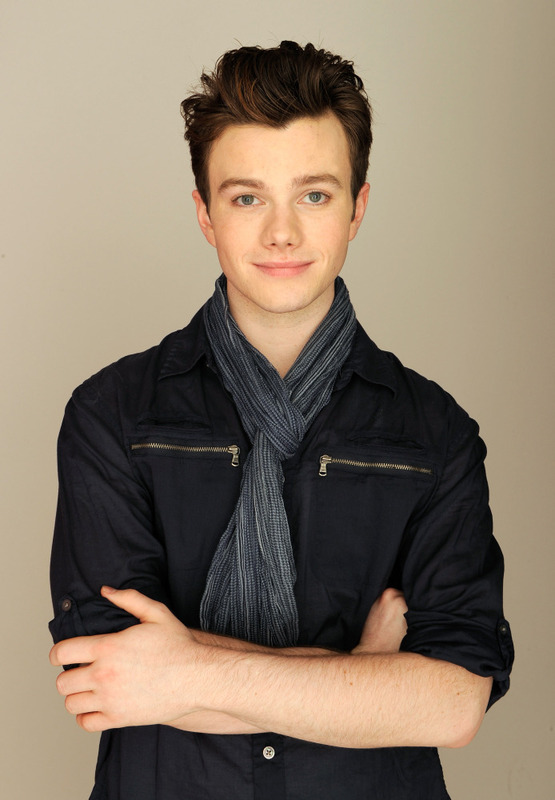 Chris Colfer, one of the stars of the hit TV show Glee, is known for his portrayal of Kurt, a confident and openly gay high school student (who also possesses pipes like a diva). 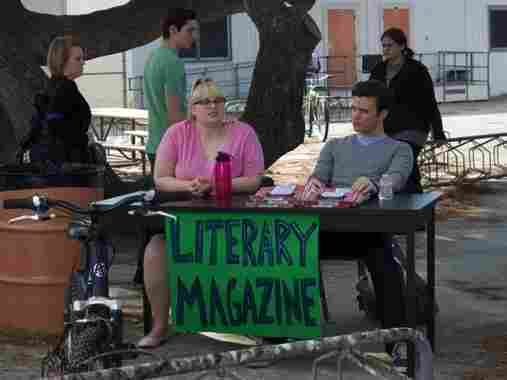 In the new film Struck By Lightning, which Colfer wrote, he plays a very different character: Carson Phillips, an ambitious high school student who starts a literary magazine in order to get into Northwestern University. The character is arrogant and not exactly well-liked, so how does he collect submissions? By blackmailing the popular kids, of course. Chris Colfer, writer and star of Struck By Lightning, at the Tribeca Film Festival, where the film is playing. The film is set in fictional Clover, Calif., whose name is not unlike that of the town where Colfer grew up — Clovis, a small town just outside Fresno. Colfer, who wrote the script while working 70 hours a week on Glee, says that while the film is not autobiographical, some major plot points ring true. How about that blackmail thing? "That actually was a little close to something I might actually have done in high school," Colfer tells NPR's Guy Raz. "When I was in high school, we had this thing called the senior project where one senior was selected every year to have their own show. ... All the seniors before me always just did an SNL-like format with a bunch of skits and gags and songs, and I was the only student that ever was like, "Nope, I'm going to write a show, and we're going to do a full production."" Colfer says when his classmates didn't want to participate, suffering from major bouts of senioritis, he may have used a few things against them to get them into his show. One thing Colfer doesn't have in common with Carson, however, is a little more elemental: as we learn at the beginning of the movie, Carson is dead and sees his story in flashback. Asked why that's the structure, Colfer says part of it has to do with the way people talk about the dead. "One of the biggest things I wanted to do is have a character call these people out on their fake grief and mourning. I mean, how many times are we at someone's funeral and someone speaks at the podium, and we think, 'Oh my God, they're such a liar, they never knew them like I knew them, they weren't as close as they're saying they are.' I think one of my character's lines in the movie is, 'It's amazing how popular you become once you die.' I just thought it'd be a great way to tell a story, from the perspective of being dead." But other than that little hitch, there are things about Carson that Colfer says he envies a bit, compared to his own experiences. "I really wish I could be like that and say exactly what I meant exactly when I felt it and not really give a crap what people thought. But I was the exact opposite — I really did care a lot what people thought of me. And I was not as manipulative or as smart and conniving as he is." On Glee, Colfer was at the center of a major bullying storyline that he says hit home in a big way. Not only was he bullied himself when he was younger, but it got so bad that he was home-schooled. "When I was in seventh grade, I was home-schooled for the second half of my seventh grade year and eighth grade year because I was really made the target of by a lot of students, and I was having my locker vandalized and my PE clothes stolen and had horrible things written on it, and my mom and my dad finally got sick of it and just home-schooled me for the rest of junior high. But then I went back to high school, and I was thrown back into the world of public schooling." Colfer is hesitant to take credit for how much his portrayal of Kurt has resonated with gay kids especially, giving much of it to the Glee writers, but he remembers having strong feelings about what he wanted to accomplish. "I was very, very nervous about playing a gay character and I kind of went into it knowing I wanted to make him more than just the punching bag that gay characters usually are on TV—the quirky best friend with the bitchy one-liners that we see on almost every other show." For one thing, when Kurt came out to his father in a widely praised scene, he didn't want it to be all about fearlessness that might ring false. "It's the most terrifying thing kids can ever do in their life, especially at an early age, so I really just wanted to make sure there was a lot of honesty in that scene and it wasn't so forced or arrogant, but it really was just this kid who was terrified of telling his father the truth." In the end, Colfer says, his high-pitched voice — which caused him no end of trouble with bullies at school — has turned out to be a blessing in disguise as it allows him to perform numbers like "As If We Never Said Goodbye" from Sunset Boulevard on Glee. "It's crazy," he says. "A voice that was never wanted has become a voice for so many people who don't have one." He doesn't expect, however, that that voice will necessarily last forever. "I would love to retire by the time I'm 25," he says, "because by then I probably won't be considered relevant anymore and no one is going to care about me. And I'm very very well aware that every actor has a shelf life, and I'm just trying to squeeze in as much as I possibly can while I can." He's on track for now: Struck By Lightning is currently playing at the Tribeca Film Festival and will open wider later this year.